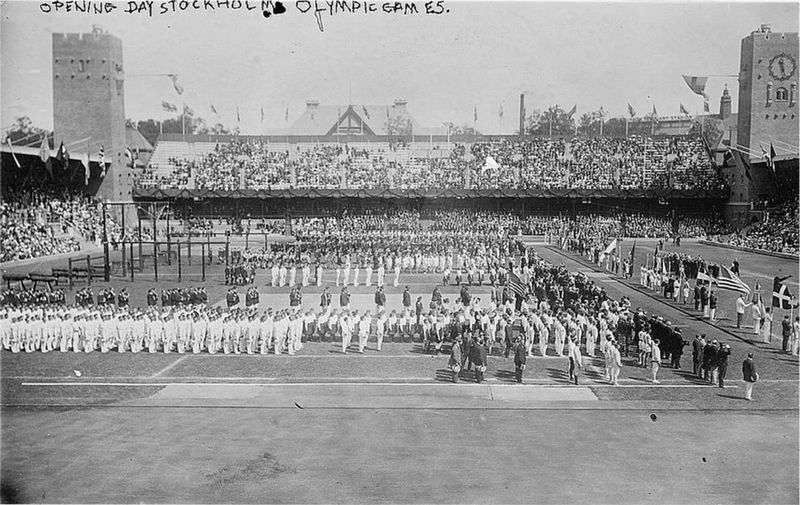 With only 100 days to go until the Olympic games begin Play with Flair is celebrating this milestone by looking back 100 years to the Olympic games in Stockholm 1912. This was the first Olympic games where competitors from all five continents were represented but this was not the only new inclusion there. Stockholm also introduced much of the techonology that we now take for granted including the first use of the photo finish. For any Team GB fan hoping for a good result this year 1912 will serve as inspiration. With 28 nations competing in the Games, Great Britain performed well and came third in the Medals table. A repeat of that result in London, a mere 100 years later, would surpass all expectations even for the hosting nation. That’s not all though, Ewart Douglas Horsfall, also a winner for Oxford in the annual Boat Race, won his first two gold medals for Great Britain in the rowing. The heroics of the British rowers in Sydney may have made Sir Steve Redgrave and the gold medal winning team national treasures but Horsfall was arguably the greatest British rower before the millenium. In Stockholm, there was some Olympic controversy too (what Olympic games hasn’t had this vital element? 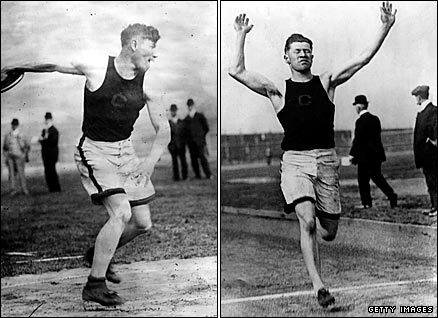 ), when the American Jim Thorpe won the pentathlon in its first Olympic inclusion and the decathlon only to be disqualified after violating the rules of amateurism. This was because he had received money to play baseball prior to the Games. After 70 years, Thorpe’s medals were reinstated in 1982 by the International Olympic Committee. I’m sure that the reason why so many people across the globe watch the Olympics is because of the great moments and unexpected stories. My favourite story from 1912 is one about a Japanese marathon runner named Kanakuri Shizō. He went missing during the race after fainting in the heat, but after being cared for by a farming family he returned to Japan without telling Olympic officials of his whereabouts. He did finish the race 50 years later with an unofficial time of 54 years, 8 months, 6 days, 8 hours, 32 minutes and 20.3 seconds. It would be hard to see anything similar happening at London 2012 but what are you most looking forward to?